In most cities, streets constitute the largest percentage of public property. 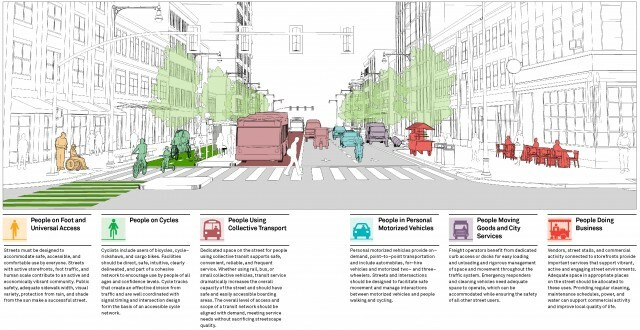 Designs should maximize possible uses, accommodating people walking, cycling, taking transit, enjoying public spaces, or driving. 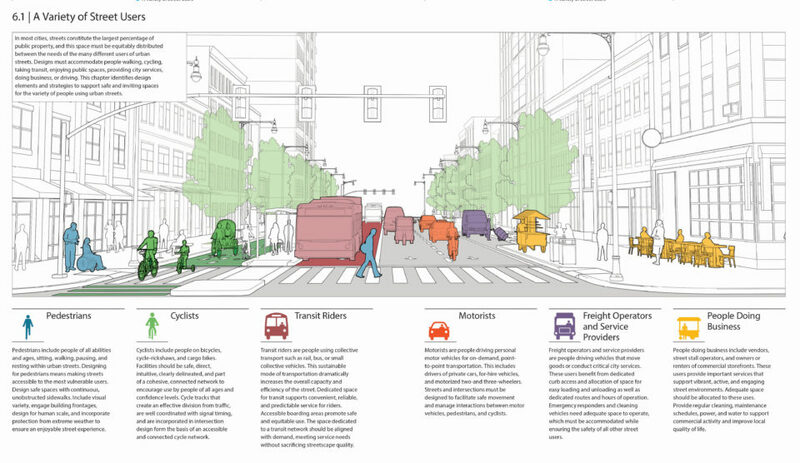 Streets should be safe, convenient, and inviting. 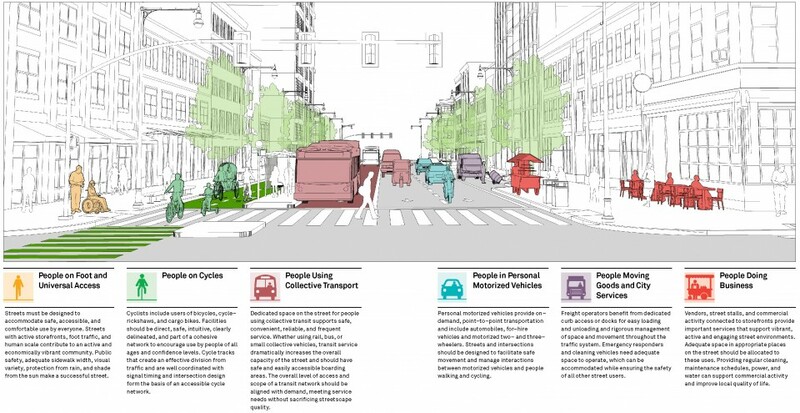 Throughout the Global Street Design Guide, user needs will be identified, so that these activities may be carefully considered as projects are shaped.